OLM 8th Grader Molly Wren poses with her Grandmother and OLM Parishioner, Bernice Broccoli. On Thursday, May 10, OLM School and Parish welcomed close to 300 grandparents from near and far for the school’s fourth annual “Grandparents Day” celebration. The day began with 9:00 Mass to mark the Feast of the Ascension of our Lord which was celebrated by OLM Pastor Father Bernard Healey. Following the mass, the students and their guests visited the school for a variety of activities including a reception in the cafeteria, school tours, and special presentations in the classrooms. Led by the individual classroom teachers, students sang prepared songs, played games and took photos with their grandparents and special guests. Students in Mrs. Nygren’s fifth grade classroom were treated to a game of “Are You Smarter Than A Fifth Grader?” based on the popular game show of the same name. As many of the grandparents realized, the students came out ahead in their knowledge in many subject areas! While many students and their families are fortunate to have grandparents throughout Rhode Island and nearby region, some must travel great distances to spend the day. 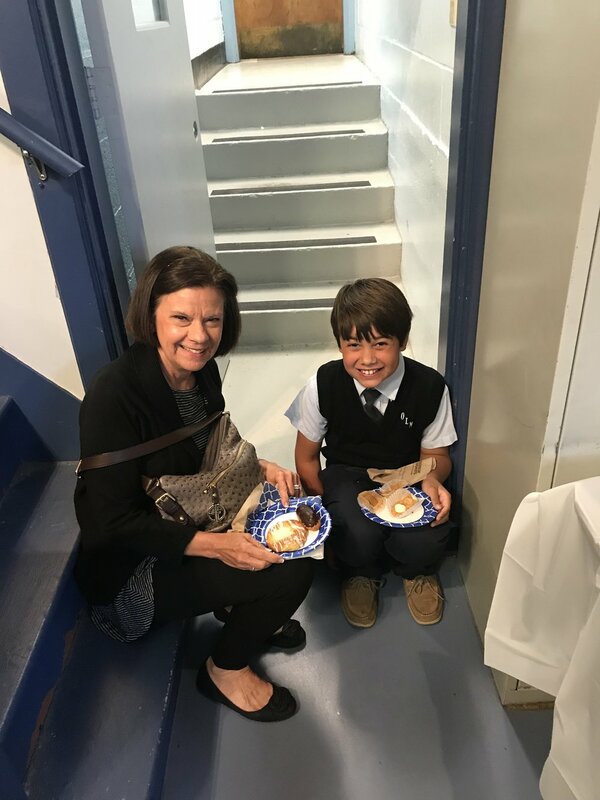 OLM 3rd Grader Ben Knudson enjoys some danish with his Grandmother, Debbie Knudson, who travelled from Scottsdale, Arizona for the celebration of OLM School Grandparents Day. 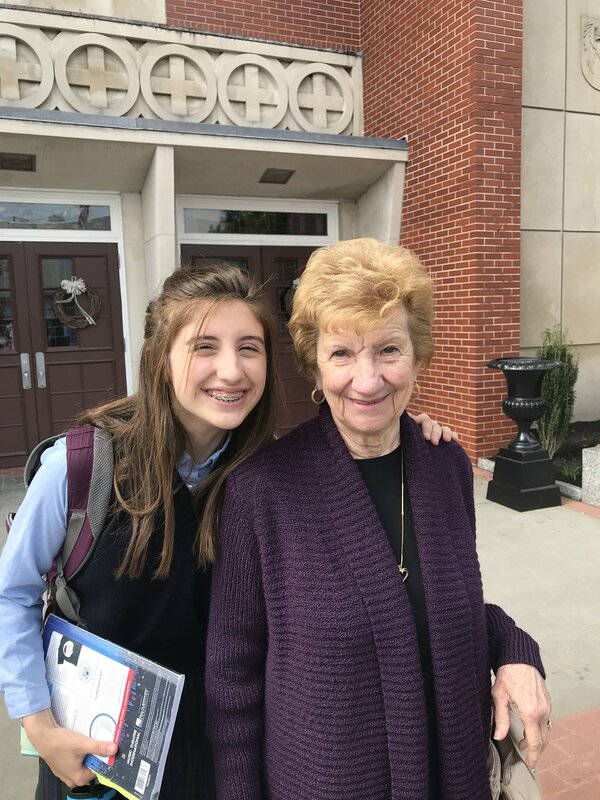 OLM 7th Grader Ali Campion poses with her Grandmother, Delia Campion, who traveled from Carlow, Ireland for the OLM School Grandparents Day! This year, one grandmother, Delia Campion, came all the way from Ireland to share the celebration with granddaughter Allison who is in seventh grade. Richard and Debbie Knudson made the trip from Scottsdale, Arizona to share the day with grandson Benjamin who is in third grade. Whether from Rhode Island, in the western U.S. or across the Atlantic, all OLM grandparents agreed it was a wonderful celebration with their grandchildren and a great opportunity to visit their wonderful school.